A cross party group of MPs, including the MP for Weston-super-Mare John Penrose, the current Water Minister Therese Coffey, Sports Minister Tracey Crouch and former Fisheries Minister Richard Benyon, attended a chalk stream discovery day on the River Itchen last week to learn about problems facing all rivers and in particular the English chalk streams. These unique habitats are under threat from over abstraction and agricultural pollution, and many have experienced a significant loss of their natural habitat. 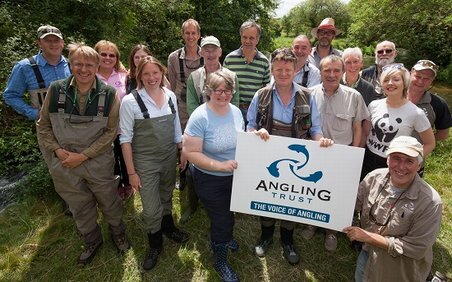 The MPs joined WWF and the Angling Trust on the iconic Hampshire river to hear about the stresses that our rivers are under ahead of a major campaign launch that is seeking to press the government to deliver on its long overdue promise to reform the outdated water abstraction regime. Fewer than one in five chalk streams meets the required good ecological status and only 12 of England’s 224 chalk streams have special conservation protection. Many industrial and housing developments have been approved with little thought to the potential impacts they pose to the condition of local rivers. The MPs had the opportunity to walk and fish the famous Hampshire river with wildlife and fisheries experts including Rose O’Neill, Water Policy Manager at WWF; Mark Owen, Head of Freshwater at the Angling Trust; and Charles Jardine, one of the top fly fishers in the UK.